The War On Drugs On World Cafe : World Cafe Hear outtakes from the Philadelphia quartet's recent performance at World Cafe Live. The band's most recent album, Slave Ambient, is out now. 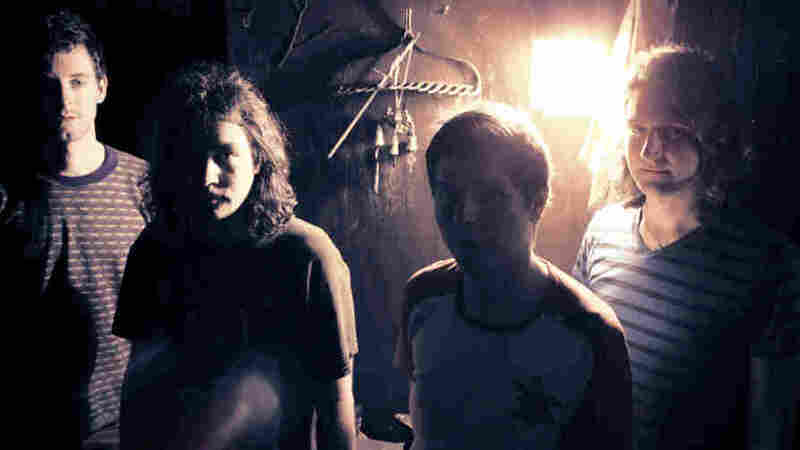 Philadelphia's The War on Drugs is an arena rock band that doesn't play arenas yet. On its second and most recent record, Slave Ambient, the band rollicks like a lost early U2 demo, pairing massive melodies and expansive instrumentation to powerful effect. Peaking on songs like "Your Love Is Calling My Name," or the '80s Springsteen-style anthem "Baby Missiles," the grandeur of Slave Ambient conjures Americana in a way few bands can. This World Cafe session features songs from the band's recent concert at World Cafe Live.